If your Silver Spring, Maryland, residence is in need of basement waterproofing or water management services, put your trust in the professionals at Allmaster Home Services. Since 1987, we have helped countless homeowners address their water management concerns with our turnkey services and dedicated approach to every project we take on. 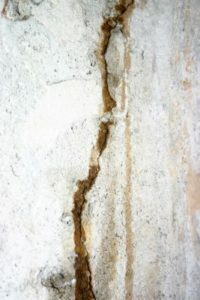 Rather than simply offering you a cookie-cutter solution for your problem like so many other home improvement companies, we take the time to formulate a unique basement waterproofing plan that will best address the needs of your home. When you contact us for your basement waterproofing needs, we will begin by setting up a complimentary consultation where we will come to your home and fully assess the situation. From there, we will recommend and discuss with you an all-encompassing plan of action to resolve your water management problems. A few of the many services we provide include the installation of yard drainage, drain systems, downspouts, sump pumps, and drain tile systems. For more information on the basement waterproofing services we provide to residents of Silver Spring, MD, contact Allmaster Home Services today.